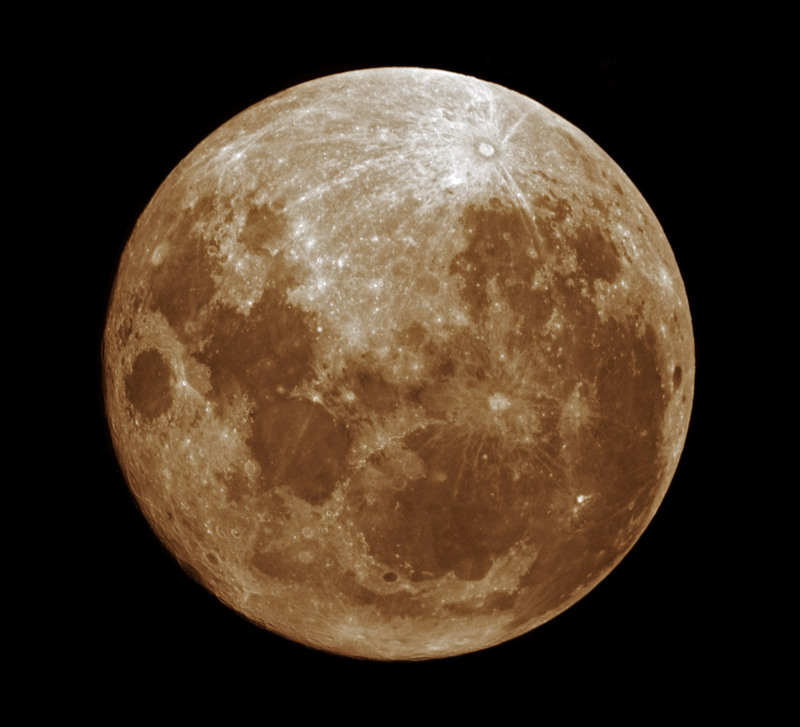 A Supermoon happens when a Full Moon coincides with the Moon's closest approach to Earth, so called perigee. A Super Full Moon looks about 14% bigger than its counterpart, the Micromoon. This image shows the Supermoon on November 14, 2016, which was the closest to Earth since January 26, 1948. The next time a Full Moon is even closer to Earth will be on November 25, 2034. The image has been taken through a thin cloud layer, which is hardly distinguisheble and only slightly affects the image quality.